I look around and I see pumpkins and ghosts in the window's around my house, it's October and it's Halloween time, but I'm thinking a little past the 31st of October and I'm starting to think about the 25th of December. Christmas?! Yes, it's never too early to formulate a game plan for the holiday's. Things happen a lot quicker once Halloween passes, before you know it Thanksgiving is here and BOOM, Christmas. I'm always looking to make life easier not only on myself but on my budget. And what better way to take a load off my budget than with the wonderful no money down layaway offered by Kmart that is running through November 29th, simply visit Kmart.com/Layaway. Christmas was a lot easier when I was a little girl, all I had to do was open presents! Now, as an adult, I've got to shop for presents and it's hard work. With so many people to buy for and with so many different personalities to try and keep happy it's a daunting task. But with the ability to put virtually anything I can find in store or online at Kmart.com I can shop in one spot and keep my budget within my budget. (Item must be sold from Kmart, not Sears to be able to be put on layaway). The best thing is that you can initiate a layaway contract in-store or online, you don't even have to leave the house to get this great deal!And signing up for layaway is so very easy a super quick process that can be done in stores or online. We decided to do a little shopping this past weekend and we were able to cross a few names off the list and it didn't cost us a dime (yet), but we've got almost two month's to pay for everything and that makes shopping so much less stressful. Kmart has something for everyone in the family. Looking for a new coffee maker? They've got several to choose from and one of them just so happened to find its way into our cart....who it's for I'm not going to say because my family reads this and I'm not going to spoil surprises. Except the stick vacuum my Grandmother asked for, she doesn't read this so I'm safe, we found the exact Bissell natural sweeper she wanted. Toys and electronics for the kids and tech geeks in your life are there as well. Our daughter was with us so we couldn't buy anything for her just yet but we were able to take care of her cousins. She's better at helping us pick toys for everyone else, we ask her what she wants and we're met with a look of confusion. Except she really seemed taken with the Zoomer Kitty we picked up for her cousin.....I made a mental note of that. Thankfully Kmart has a great selection of toys and something our tween is now getting into more, clothes. All of a sudden she's now wanting more clothes, I don't remember being this difficult when I was her age! Christmas can be a stressful time and it doesn't need to be. Take advantage of the great deal you can get at Kmart.com/Layaway with the no money down layaway! It's beneficial in so many ways and not just financially but mentally! Take a load off your mind by being able to keep your budget in check and since the no money down layaway is running through November 29th you have until after Black Friday to pay it off! 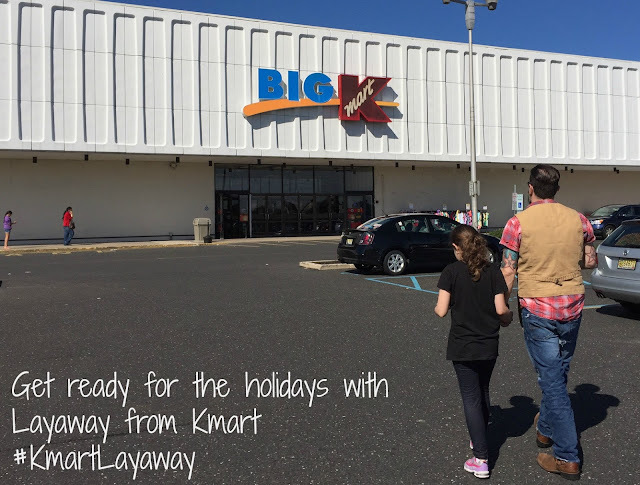 Be smart and savvy this holiday season shop at Kmart and use their awesome no money layaway and take advantage of a great opportunity to make your life a lot easier! The generous folks at Kmart are giving one of Susan’s Disney Family readers a chance to win a $50.00 Kmart gift card, to put toward your layaway or anything else at Kmart. Would you like to win? 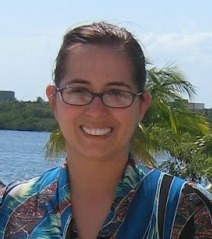 Please check out the Kmart site, take a look around and tell me what you would love to buy. After the mandatory entry there are more ways to enter. Please enter below. 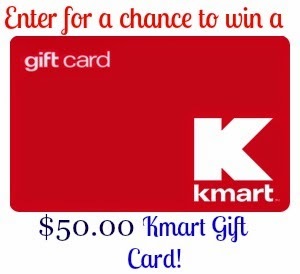 One winner will win a $50.00 Kmart Gift Card. I'd love to buy the Acer Aspire 11.6" LED Notebook for my husband. I want to put the Dell Inspiron 15.6" Notebook with 3rd Gen Intel Core i3-3217U Processor, 4GB Memory, 500GB Hard Drive and Windows 8 on layaway for my son! He could use this for school homework and it is on sale right now! I'd like to buy my daughter a 16" bike and they have some nice Huffy ones. Entered the Rafflecopter as “Wild Orchid"
I would like to buy Hewlett Packard zBook. I would love to buy my sons the Skylander games on Xbox one and buy an xbox one! I'd love to get the Samsung Galaxy Tab A 9.7 for my husband and toys for my kids. Thanks so much. I'd lie to get the Kenmore 3.3 cu. ft. Washer & 6.5 cu. ft. Dryer Bundle- White. I just got my daughter a Wii U for her birthday and I would love to put some games and controllers on layaway. I would love to buy a Keurig Hot Brewer K400 Coffee Brewer Starter System 8 CT BOX. I would love to get a new cell phone. I'm prepaid and mine is starting to act up. I would love to get a new cell phone. I'm prepaid and my current cell phone is starting to act up. I'd like a stroller for my new baby. I would like to lay away the essential garden Bisbee three piece bistro set. I Want To Buy The WWE 1:14 Scale John Cena Remote Control ATV For My Nephew! I would like to get the Jurassic World Lego for my son. I would get a new bedding set. Visited and I really like you can cancel any layaway contract. You will receive a refund of your payments made to date minus the Service and Cancellation Fees. I want to buy some Essential Home Sutton French Terry Bath Towels. I would love to get the rocker and ottoman. I've always wanted one. I like the Essential Home Emily Breakfast Nook - Pine! I would like to buy the Kent 14" Kent Retro bike for my grandson. I would like to get my daughter the Apple Apple MD512LL/A iPad 4 with Retina Display WiFi 64GB (Black) for Christmas. Thank you!! I would love the Essential Home Paige Electric Fireplace, and it would be great to pay it off slowly on Layaway! I would like to surprise my son with the MeccaNoid G15! I would like to buy the Shark Navigator Upright Vacuum. I’d like to get my daughter the Dragonfly 16” bike. I would love to to a Samsung 50 inch 4k TV for the Family. I would pick the WonderKids Toddler Girl's Graphic Hoodie Jacket with the hearts. I would love to get the Minions playdoh for my niece. Thank you for the chance. I would to buy the Essential Home Paige Electric Fireplace. sarah s Two of the items I would be interested in is Oster 0.9 Cubic Foot Black Digital Microwave and Chef'sChoice Stainless Steel Cordless Electric Kettle. I would love to buy Playmation or Dimensions new video games for my son for Christmas. This would really help. I would love to buy an XBox 360 (for my son for Christmas). The RCA 32" 720p 60Hz LED HDTV would make a wonderful family gift for the kids' gaming. I would like to buy some new board games. I'd love to buy a game system! I would love to get my son a new bed like the Oxford Creek Bedford Bronzed Black Graceful Line Iron Metal Bed. This prize could definitely help with the layaway. Love that they have layaway! I like the Jaclyn Smith Cherry Valley Bistro Motion Chairs! I would buy my daughter a new laptop computer. I checked out the site and I would like the Ninja Mega Kitchen System 1500 Blender & Food Processor! I would buy a Wii U! I would love to buy the Essential Home Sydney Dining Set. I'd love to put the Canon 18.0-Megapixel EOS Rebel T5 Digital SLR Camera with 18-55mm Lens Black on layaway! I'd like to buy a TV. Can't go wrong with a new TV. I love to buy one of those large TV's for my hubby. I would love to buy the LeapFrog Epic 7” Android-based Kids Tablet 16GB. I would get an Acer Aspire 11.6" LED Notebook for my oldest son. I would buy some new furniture. I would love to get the Samsung Smart Blu-ray Disc Player with Built in Wi-Fi for my son as a Christmas gift. I'd love to buy a new HP laptop. I would like to get the RCA 40" Class 1080p 60Hz Rear-Lit LED HDTV. The power wheels disney frozen jeep wrangler is nice. I would love to buy a television since I do not own one. .I would buy Christmas Decorations. I would love to layaway the Canon 18.0-Megapixel EOS Rebel T5 Digital SLR Camera with 18-55mm Lens to gift to my husband for Christmas. i'd love to buy the men's dutch schwinn. I would buy christmas toys for the grand kids. I would use the gift card towards the purchase of the Samsung 7" Galaxy Tab 4 Android 4.4 Tablet. I would love to get the Samsung 50" Class Curved 4K UHD 3D LED Smart HDTV - UN50JU7500! I would love to buy the Samsung Samsung Galaxy S6 Edge G925 32GB Unlocked GSM Octa-Core Phone - Gold. I'd buy a new microwave. I would love to get a Disney Star Wars Furbacca! I'd probably stock up on new flannel sheets for our beds. Id get a new microwave, mine is old as the hills lol. I would layaway a laptop or tablet. I would buy a new bedding set for my queen sized bed!